Our first manual inflatable vest has been developed in response to the growing demands of surfers seeking to increase personal safety in big wave, high-risk surfing environments. 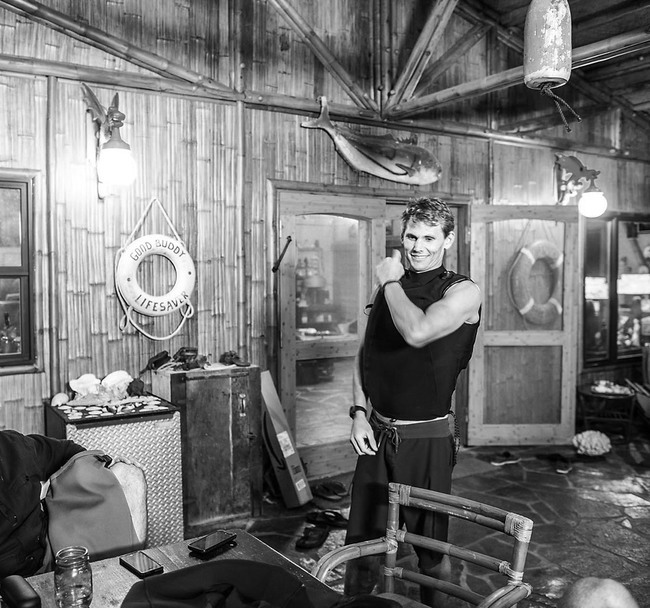 Featuring several improvements on existing inflatable vest technology, pre-production models of the vest have already helped save the lives of more than one big wave surfer, while at its February 2016 debut at the Quiksilver In Memory of Eddie Aikau invitational at Waimea Bay, Hawaii, the QUIKSILVER X AQUA LUNG inflatable vest ushered in a new benchmark in water safety at the iconic big wave surfing competition. 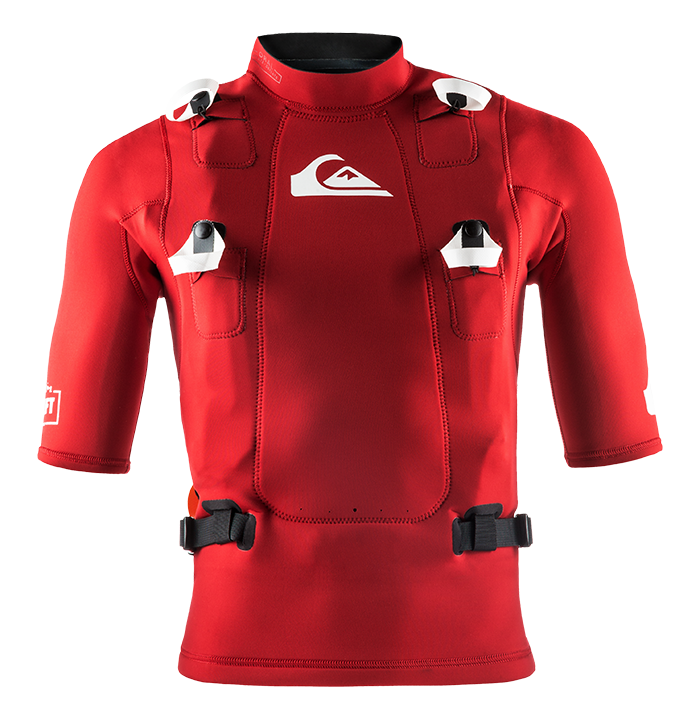 Other world-class big wave spots where the vest has been successfully tested include: Todos Santos (Mexico), Mavericks (California), Peahi/Jaws (Hawaii), Makaha (Hawaii), Nazare (Portugal), Belharra (France), Cow Bombie (Western Australia), Tavarua (Fiji) and Teahupoo (Tahiti). If there is one thing we can learn from professional big wave surfing, it’s that no safety strategy working in isolation will save you from drowning – an inflatable vest needs to be worn as an integral part of your overall equipment, fitness and preparation. The vest is a safety tool, not a performance enhancer. Do not take greater risks while using this vest. USA, Australia and non-European Union Territories: This vest is NOT a lifejacket or personal flotation device (PFD) approved or sanctioned by the U.S. Coast Guard or Transport Canada. It does NOT comply with Australian Standard AS 475:2015 for lifejackets or with other regulatory agency official requirement for flotation devices. European Union: This vest is a personal flotation device compliant with standard EN ISO 12402-5:2006 + A1:2010 for Buoyancy Aids (level 50), as confirmed through testing and inspection by CRITT Sports Loisirs, 21 rue Albert Einstein, 86100 CHATELLERAULT, France. Notified Body N°0501. This vest becomes a buoyancy aid ONLY after full inflation. 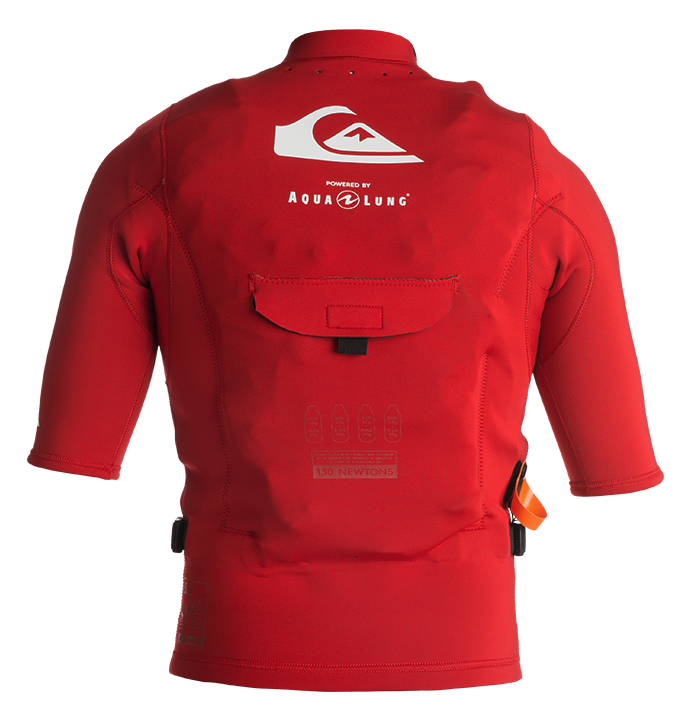 This vest is designed for use by experienced surfers who are strong swimmers. It is not designed for windsurfing or kitesurfing.